A fully illustrated account of the fascinating life and work of artist, illustrator, and author Thomas Hennell. The artist Thomas Hennell was born in 1903, the same year as his friends Edward Bawden, Eric Ravilious, Graham Sutherland and John Piper. He was one of the three Official War Artists to die during the Second World War, and deserves to be more widely recognised today. In his lifetime, Hennell was highly regarded as an artist and author. His main theme was the English countryside. His distinctive, beautifully coloured watercolours and detailed drawings were made with a strong sense of vocation. He struggled with serious mental illness and was hospitalised from 1932 to 1935, when diagnosed as schizophrenic. Like Van Gogh, who spent a year at the St Paul asylum in St Remy, Hennell drew with ink and a reed pen in the hospital grounds. He got better without the use of medication. Upon his release, Edward Bawden encouraged him to 'centre and compose' the experience of schizophrenia by writing about it, and Hennell's remarkable illustrated account, The Witness, was published in 1938. Eric Ravilious, too, helped Hennell with his recovery, providing a series of wood engravings as illustrations for The Poems of Thomas Hennell, published in 1936. Hennell was a talented writer, but his best paintings deserve to rank alongside those of any other leading twentieth-century British watercolourist. 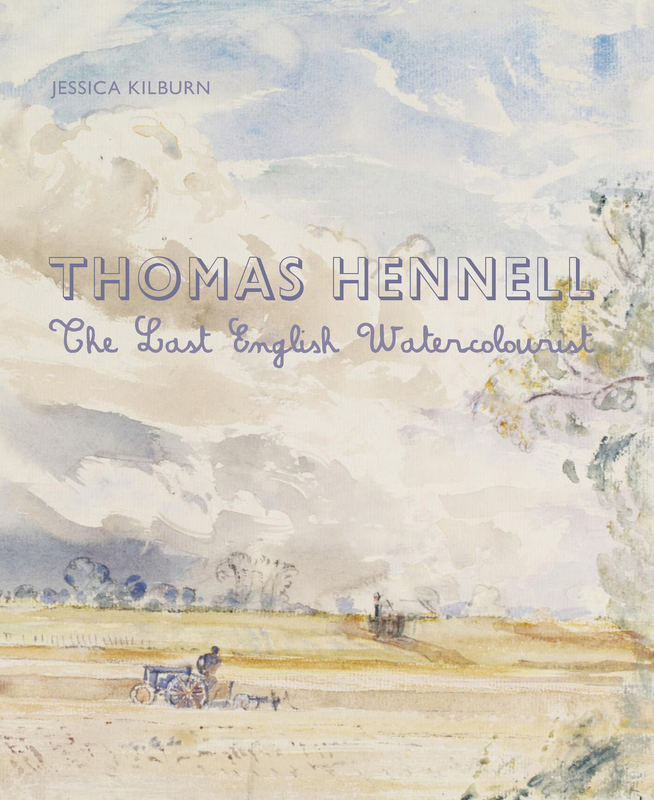 At the time of his death, Hennell was widely considered to be one of Britain's most significant watercolourists and notable cultural figures. His work featured prominently at the Royal Watercolour Society and New English Art Club exhibitions and he was elected a member of both organisations. Kenneth Clark rated Hennell's work highly enough to place his work prominently in a display of National War Pictures at the National Gallery in 1945. Hennell's paintings and drawings provide an insight into an era: they will appeal to those with a love of the countryside and farming, an interest in the Second World War, and admirers of the now very famous artists who were his friends and regarded him as an equal. JESSICA KILBURN is a London-based artist, researcher and writer. She studied English Literature at Merton College, Oxford, followed by History of Art at the University of Glasgow. Her work has appeared in the poetry journal 14 and Illustration magazine. She contributed to the Oxford Dictionary of National Biography (OUP, 2004) and curated a permanent exhibition on Lancelot Capability Brown for his birthplace in Northumberland.